Chicago South Shore & South Bend 803 One of the largest single-unit electric locomotives ever built was the GE "Little Joes" that were built in 1948. General Electric built 20 of these gigantic streamlined locomotives for export to the Soviet Union, which at the time was expanding its electrified trackage. Increasing tensions in the Cold War and the designation of railroad equipment as strategic material, though, nixed the export. By that time, though, the locomotives were already under construction, and GE offered them at a reduced price to whomever would take them. 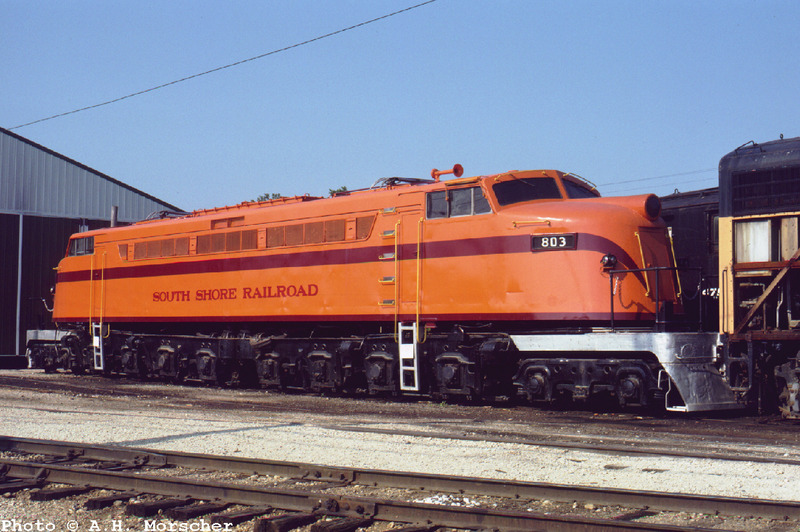 The South Shore seized the chance to expand its heavy freight business and bought three units; five more were exported to Brazil and the Milwaukee Road snapped up the remaining dozen. The South Shore didn't actually call them "Little Joes" but rather 800's. Units 801-803 operated for three decades, until electric freight operations ended around 1980. In 1981, 803 was sold to IRM, which repainted it and made it operational. Although it has operated at Union in the past, it is in need of minor work and is currently simply on display.